Northern Waters Adventures has guided sea kayak trips on Lake Superior for 15 years. 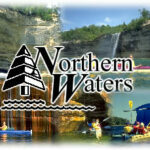 Trust NWA’s experience for safe guiding, instruction, kayak rentals and sales. No kayak experience is required for most trips. 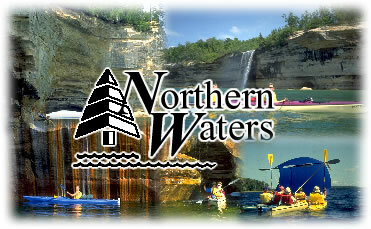 Try our Guided Day Trip to Pictured Rocks National Lakeshore or Grand Island Recreational Area. Paddle under multi-colored towering cliffs, inside sea caves, through rock arches, on clear emerald colored water over shipwrecks and past a historic lighthouse. The beauty is abundant here in the Munising area, especially exploring by a stable kayak from the water’s edge. We sell kayaks made by Necky, Dagger, and others. Trust us to sell or rent you the right and safe kayak for your needs. Professional Instruction and guiding is our trademark. Allow NWA to open you to the world of sea kayaking — you will not forget it! does your company offer multi-day guided trips?